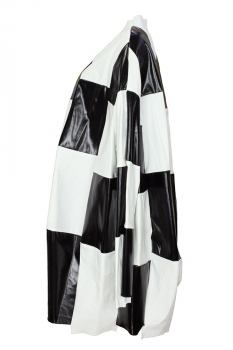 Rundholz Mainline Collection one-size, long tulip shaped jacket in original colour (black and white). A patchwork of shiny black and a flat white. The black fabric is 35% Linen 30% Cotton 25% Polyurethane 8% Polyamide 2% Elastane. Round neck with small vent at rear. 7 button fastening with covering placket. 2 pockets in seams. Cuffs with vents and two different levels. Great jacket that matches the trousers in the same fabric. 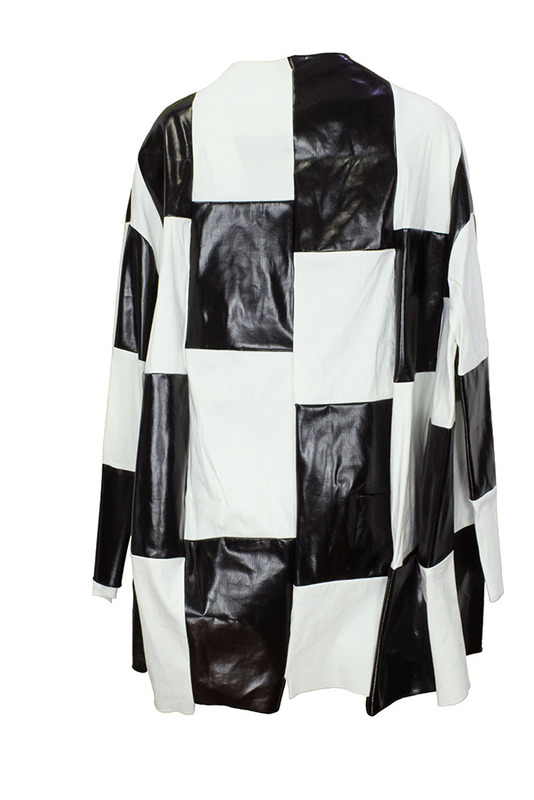 Wonderful 1960s style jacket/coat.